• Why my health is not keeping good? • Why I am suffering from diseases? • When will my health improve? • What remedies could be done to improve my health? • What would be the best diet for me? • How I could use yantra, mantra and gemstones to improve my health? • Will I have to undergo a surgery? Health is the pivot on which your whole personality and well-being depend. An ailing and aching body saps the enthusiasm for pursuit. Our ancient Hindu texts and scriptures also say that “Health is Wealth”. If your health is not good, you will not feel the enthusiasm to do any work. Lal Kitab can be very useful in diagnosing health problems and specific remedies can then be undertaken to make life free from illness and disease. Here I am sharing with you some of the general remedies for solving your health related problems but they are not a substitute for professional consultation at our Lal Kitab Astro Centre (LKAC) either through phone or meeting personally. To get full benefit of Lal Kitab in solving your health problems, you are strongly advised to consult for your horoscope as in that case solutions would be advised after discussing the problem with you and keeping in mind your planetary combination and medical history. In addition to prescribing remedies for solving your health related problems, we also advise on changes required in your lifestyle to ensure that recurrence of diseases could be avoided. 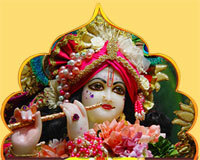 I strongly believe that we can ward off all our health related troubles if we are able to get divine help in our life. To get divine help you are advised to drop one or two coins of copper whenever you happen to go or cross a cremation ground of cemetery. If you feel that everyone in your family is suddenly falling ill or your disease is not being diagnosed by qualified doctors, then you can donate one yellow pumpkin with its stick to any religious place once in a month. This has to be done on any Thursday between Sunrise to Sunset. If you are unable to keep up your health due to lack of sleep, then you can keep some water in a utensil at your bedside in night and in the morning, you can pour this water at a place where it will not be misused in any way. You can use this water in plants also except Tulsi plant. 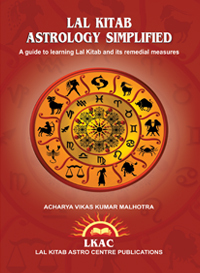 The above remedies are general in nature but there are many remedies which can be suggested looking at your horoscope and planetary combinations using the principles of Lal Kitab and Medical Astrology. So do not waste your time while at the same time aggravating your disease and sufferings. Book specific consultation and do specific remedies as per your horoscope. The incidence of diabetes is increasing day by day. Being a silent killer, it is attacking the young generation also due to their sedentary life style, lack of exercise, poor diet etc. Worldwide, it afflicts more than 380 million people. World Health Organization (WHO) estimates that by 2030, numbers of people living with diabetes will more than double. Two things are common these days- Side effects and Insulin resistance among the people who are taking modern medicines for diabetes treatment. In this post, I have shared some of the astrological remedies that can be undertaken to treat this disease. I have also shared some successful ayurvedic remedies to deal with this disease. What is Diabetes and what are its symptoms? Diabetes is a disease that occurs when your blood glucose, also called blood sugar, is too high. Blood glucose is your main source of energy and comes from the food you eat. Insulin, a hormone made by the pancreas, helps glucose from food get into your cells to be used for energy. Sometimes your body doesn’t make enough or any insulin or does not use insulin well. Glucose then stays in your blood and doesn’t reach your cells. Over time, having too much glucose in your blood can cause health problems. There are two types of diabetes, Type 1 and Type 2. In Type I diabetes, your body does not make insulin. Your immune system attacks and destroys the cells in your pancreas that make insulin. In Type 2 diabetes which is more common, your body does not make or use insulin well. Tingling or numbness in the feet or toes. Diabetes may be hereditary or acquired by the individual due to his lifestyle and food habits. The two planets responsible for diabetes mainly include Jupiter and Venus. In addition, involvement of Ketu which is regarded as a shadow planet is also seen. Involvement of Jupiter is present as it is concerned with our past birth deeds and it has a ruling over our destiny due to lordship of 9th house in Kal Purush horoscope. Venus rules 2nd house as per Kal purush horoscope and tells us about our family in which we took birth in this life. Affliction of Jupiter may result in increase in our weight and other obesity issues also which may also cause diabetes. Venus on the other hand may result in damage to our white blood cells that help our body in protection from toxins and viruses. It is also responsible for Type 1 diabetes also. Ketu is responsible for urinary troubles to native. So involvement of Ketu may also aggravate the chances of having diabetes. Keep fast on every Thursday and offer water, yellow grams and jaggery to Banana tree as well as distribute yellow sweets in temple on Thursday itself. Do this remedy for 43 days continuously without break starting from Thursday preferably of Shukla Paksha. Do not eat banana on Thursday. Have pure silver ring in thumbs of both legs. If you are not able to wear silver ring in legs, then you can have white cotton thread in thumbs of both legs. Serve sweet chapatti to a white cow every Friday, if you are having family history of diabetes. You can continue this remedy for as long as possible for you as it will also save your coming generations from this disease. If Jupiter is malefic in your chart or very badly placed, you can donate yellow chana dal in any temple. Do not do this remedy unless and until you get your horoscope analyzed from a professional Lal Kitab Astrologer. You can wear gemstone of planet Jupiter or Venus that will help you in reducing the bad impact of diabetes on your health. Before doing this, it is better to get your horoscope analyzed thoroughly as wearing stones without professional advice is not at all recommended. If your Ketu is very afflicted and your sugar level is not in control, you can donate a black and white blanket in a temple on Sunday morning. Wear an energized Sphatik or Quartz Crystal mala that will help you in not only dealing with diabetes but it will also improve your planet Venus. It is helpful in removing anxiety and stress which aggravate the problem of diabetes. You can visit our website page http://lalkitabastro.com/mala-and-beeds.php to know more about this mala. Although there are many ayurvedic remedies for treating diabetes but I am sharing with you one of such remedies that have yielded good results for my clients. You can also try this remedy along with carrying out astrological remedies to get relief from diabetes. All the above items should be dried in Sun and they should be stone grounded (do not use grinder). Now take 1 teaspoon powder morning and evening with hot water one hour before meals. Continue this remedy for 3 months and if you are able to do pranayam with this remedy, it would give better results. Include whole grains in the diet, such as wheat bread or pasta and brown rice. Make a flour mixture of one part barley, one part black chickpeas, and four parts whole wheat flour and use this to form pancakes and bread. Avoid sweet, sour, and salty foods, potatoes, sweet potatoes, yams, fresh grains and pulses (legumes), whole yogurt (high in fat), and heavy, oily and spicy foods. Start doing some light exercise, such as brisk walking. Build up to a brisk walk of 30 to 40 minutes in the morning and again in the evening. Today in this post I am sharing a very effective tried and tested Lal Kitab Remedy for frequent health problems. 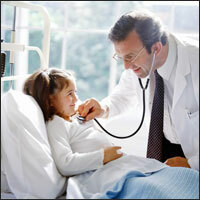 All of you may have noticed that you or your family members are continuously surrounded by many health problems. Once a problem is solved, another comes and this continues in a vicious circle. Through specific consultation on your horoscope, an effort can be made to analyze the root cause of problem and remedies can be suggested accordingly. The remedy that I am sharing with you in this post can be done by anyone who is facing continuous health and family problems. Do this remedy as suggested and with full faith and dedication. This remedy has to be done at least once in a month. For this remedy count total number of members in your house and also include guests that have visited in your house in the last month. Take one roti (chapatti) for each member and each guest. Add four rotis to the total obtained in such a manner. For example, you have four members in your house and ten visitors came in your house in the past one month. Now you have to take (4+10+4 (extra) = 18) eighteen chapattis that will be prepared in a tandoor. Please note that these chapattis should be sweet and for this purpose you can use Gur (jaggery) or Honey in their preparation. After preparation of the chapattis, you can feed them to dogs and crows. It will help in reducing the negative impact of Mars in your horoscope and your health will definitely improve. For specific remedies, you can book a consultation at our website.